Sen. Pat Toomey (R-PA) has taken his defense of the nation’s law enforcement profession to the White House. After delivering an unannounced, pro-police speech on the Senate floor two weeks ago, the Pennsylvania Republican sent a letter to President Obama calling for an end to the newly announced ban on transferring military-grade weapons to local police departments—and saying that the task force which recommended the change had made “insulting” assumptions about police. That Toomey’s speech and letter garnered major attention from the media is an indicator how important the issue of police policy and so-called “reform,” will be during election races. The stance comes in the midst of a debate about community policing that has rippled from Ferguson, Missouri, to Baltimore—and as Toomey gears up for a closely watched reelection race next year. 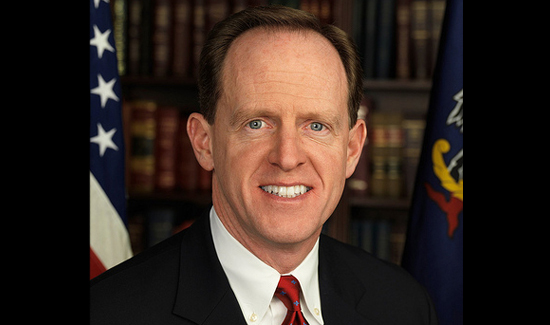 When he won his seat in 2010, Toomey earned the support of several police unions. And last year, the Allentown businessman teamed with police groups to successfully oppose Obama’s nomination of a new head of the Justice Department’s Civil Rights Division.